Photo GalleryIt’s hard to imagine a spirit of joy spreading through a sprawling refugee camp like the one in Yida, South Sudan. The camp has become home to more than 60,000 battered people who have been driven from their homes in the Nuba Mountains of Sudan. Sudan’s leader, President Omar al-Bashir, orchestrated a brutal assault on the non-Arab Nuban people, sending troops to bomb and burn villages, gun down civilians, and clear the mountain region of any possible resistance to his iron rule. 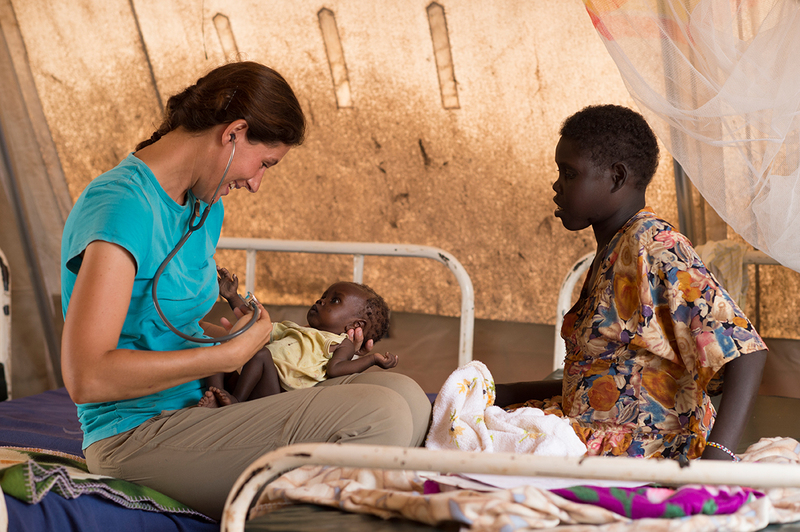 GiveRefugees in Yida, a camp where Samaritan’s Purse is providing aid, have lost everything. And yet they discovered something that they had never known before—freedom! A spontaneous dance festival recently erupted as thousands of Nubans gathered to celebrate their culture. 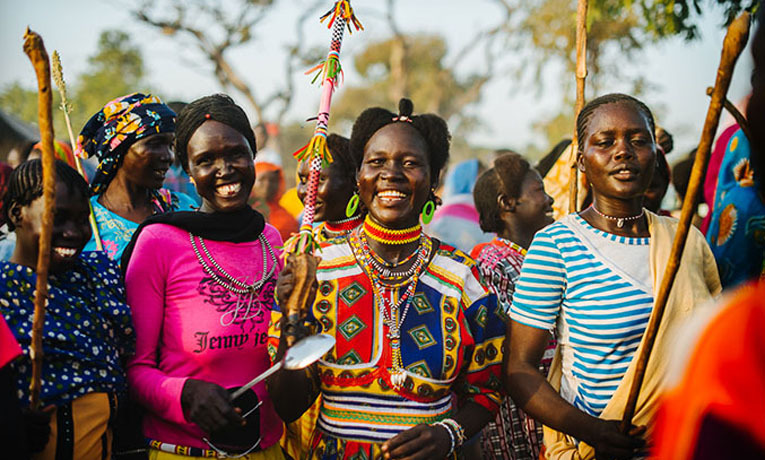 Women in brightly colored dresses, shawls, headscarves, and beads created a sea of color as they formed circles and began dancing, clapping their hands, and trilling tribal calls in celebration. Another circle of several thousand spectators formed to watch a series of inter-tribal wrestling matches, as the strongest men from each clan faced each other in the center of the ring. In the end, the victor was paraded through the marketplace on the shoulders of admiring fans. From the time that the first refugees began arriving in Yida more than a year and a half ago, Samaritan’s Purse worked to establish a camp that had some semblance of home for the Nubans. Shelter materials were provided when refugees first arrived, but families soon built temporary homes out of local materials. Samaritan’s Purse helped provide food, shelter, clean water, and medical care. A child stabilization center was set up to treat malnourished children, and hundreds of women attend community health and hygiene classes. The camp’s most vulnerable women, including widows and mothers who are heads of households, are learning income-generating skills like sewing, jewelry making, embroidery, and weaving. They can sell or trade the goods in the marketplace. Samaritan’s Purse provides assistance, but the people themselves have created a community. The camp was divided into sectors, representing different clans. Sector leaders formed a governing body to help make camp decisions and settle possible disputes. The people even created a busy marketplace that sustains a camp economy. Although the refugees are unable to cultivate the land surrounding the camp, many have planted community gardens between their homes. 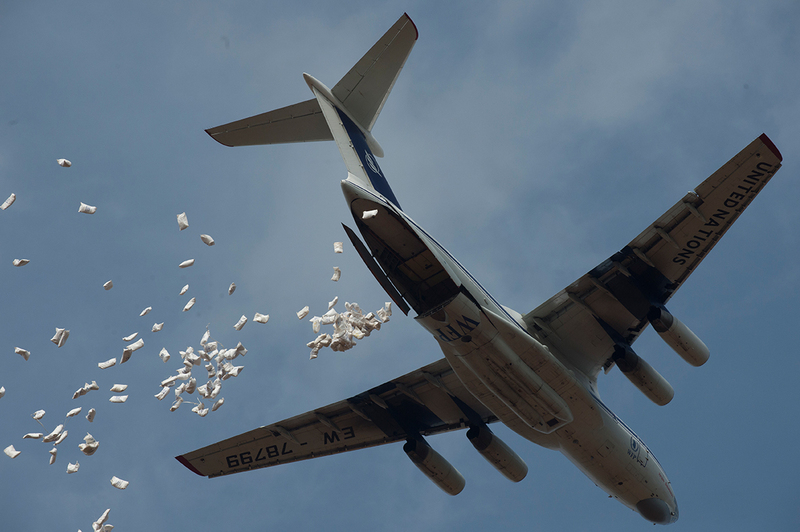 When weeks of heavy rain flooded roads and prevented food from being trucked to the camp, hundreds of people helped clear a massive drop zone where UN planes could drop thousands of pounds of sorghum, lentils, and grain. The new liberties that the Nubans experienced in Yida included freedom of religious expression. The mix of Muslims, Christians, and people with tribal beliefs created an atmosphere for open discussion. The camp has a Muslim population of at least 70 percent, and few had ever heard the Gospel. Timothy, a Christian who loves to share the Good News, fled to the camp with his family after their home and village were burned by Sudanese troops. He was grateful that the Lord spared their lives, and then discovered that God had a mission field waiting for him in Yida. More than 2,000 Bibles have been distributed in the camp, and churches are being used as literacy centers where people learn to read and write, using the Bible as a textbook. As a result of people like Timothy sharing their faith, at least 33 churches have been planted in different sectors of the camp. “Hundreds have come to Christ because we show them the love of Christ and it’s real,” Yassir Osman said. Fox holes rimmed with sand bags are scattered throughout the camp, serving as a warning and a reminder of the aerial bombardment that Sudan launched against the refugees in 2011. One bomb hit the marketplace and another crashed through the roof of a schoolhouse, but failed to explode. No one was killed, but the attack on unarmed civilians amplified the outrage against President Bashir. 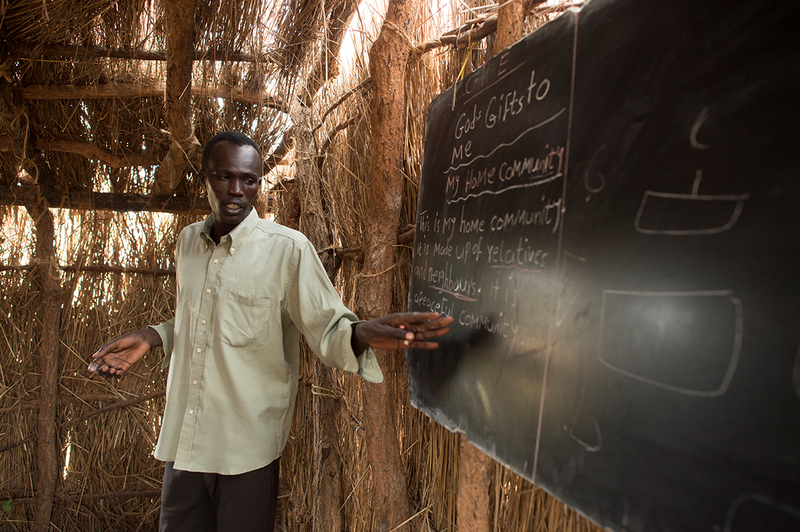 The refugees long to return to their homes in the Nuba Mountains, but until a peace agreement can be brokered, the people in Yida are trapped in a no-man’s-land with an uncertain future. Many fear that the end of the current rainy season will signal the beginning of a new round of ground and air assaults on villages in the Nuba Mountains, forcing another wave of refuges to seek shelter in Yida and other camps throughout the region.